Orangeville Therapist: Catherine Carpenko - Therapist L9W 1E1. Send A Message To Catherine. For new couples clients only. Congratulations on exploring the possibilities for creating change in your life through therapy. Whether you suffer from depression, anxiety, or multiple, complex and distressing emotions, the therapeutic process can provide tangible and practical ways to support a return to a more balanced and grounded way of being in the world. In the current transitional times, anxiety and concerns about life transitions may be assisted by accessing the tools, strategies and the healing process available through psychotherapy. My practice is client-driven, offering therapeutic techniques to meet the unique needs of the client, holding central the potency of the therapist and patient working alliance. As a therapist, I work as an active advocate of change rather than a neutral observer and believe that the removal of symptoms and change in character traits is possible in a timely fashion. The integration of a mindfulness component has proven to be very beneficial to my clients. Recent research in mindfulness and psychotherapy is indicating that partnership of these two modalities can accelerate clients ability to function more in the present moment; being more responsive and less reactive in their intra/interpersonal relationships. Whether using the tools of Intensive Short-term Dynamic Psychotherapy (ISTDP), Formative Psychology or Cognitive Behavioral approaches, my clients have benefited from having a secure, compassionate environment to explore and discover new ways of being with themselves and others. I have always had a particular interest in understanding the layers and meaning of the multifaceted human experience. My own personal journey in psychotherapy and related somatic disciplines remains my foundation and compass for my practice and appreciation of the therapeutic process. My training in psycho-dynamic psychotherapy began in 1972. Simultaneously I obtained B.F.A. in dance therapy at York University. I am currently a very active board member of Dance Ontario. 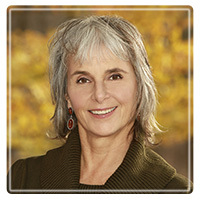 After an initial introduction to brain research in ‘80’s in studying with Jean Houston, the creator of the Social Artistry concept, more recent professional development training through UCLA extensions programmes has further supported my own inclinations and understanding of the importance of finding inner balance through a mindfulness approach to daily life. Training with Sue Johnson in Emotionally Focused Therapy for Couples, has also broaden my skill base to assist those with relationship distress. Besides extensive training in various schools of body psychology I have also availed myself to several years of ongoing instruction in wilderness survival with the remarkable tracker Tom Brown, Jr. In 1993 I received an M.A. in Psychology & Education and more recently a subsequent Master’s degree in 2004 focused on 'Creativity and Wellness' have been part of an ongoing commitment to lifelong learning and an ongoing curiosity about human nature. Many years in the field has brought me a deep appreciation for the remarkable capacities of people, families and communities to adapt, grow, learn and connect. Particularly in my training and in working with survivors of trauma and the differently-abled I have been inspired by the resilience of the human spirit and am always honoured and privileged to do this work. In 2001, I began an intense therapeutic adventure which led to an intimate and ongoing interest in the short-term dynamic psychotherapeutic process. More personally, my greatest learning has come through being the mother of three beautiful, very unique daughters, now on their own adult journeys. My clients are individuals from all walks of life, including children, teenagers and couples. They have benefited from my professional expertise and compassionate approach. With many years of alternative life-style choices both in the healing arts and the raising of children I have a unique perspective to offer from a "been there done that" point of view. Whether seeking a short term or a long term therapeutic approach, your commitment and consistency to the process will be an important component to the success of your therapeutic experience. My therapeutic practice is a central expression of the creative healing path I have chosen and am privileged to walk. It is moving to do this work, assisting and bearing witness to the unfolding of a client’s inner experience and the establishment of functional ways to cope with life's challenges. If my approach is of interest to you I welcome and encourage you contact me to discuss your needs and make an appointment. Please feel free to contact me using email or calling my office to set up a free consultation to discuss your needs. My office is located in downtown Orangeville, where I receive clients from the greater Caledon, Orangeville, Shelburne, Alliston, Brampton and Collingwood areas. I also work with clients remotely either by phone or on-line. I invite you to contact me and wish you well in your journey!